Platforms such as Twitter and Facebook work two ways – they’re fantastic for brands to raise awareness of products and services, drive website footfall and boost sales, but they also give the customer a bigger voice, too. And that’s how it needs to be. In the past the support experience for a customer was a very isolated affair. As far as they knew, they were the only person with their particular problem. Now, when something goes wrong with a product or service, or the brand suddenly has a startling case of foot-in-mouth, everybody is aware that there’s a problem. Which means that everybody is complaining at the same time, publicly, right there on your social media profile. The stakes have changed. 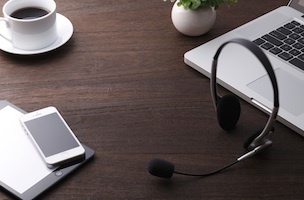 Customer support can no longer be the domain of just one or two people at your office. To keep pace your business needs to employ a customer service team, made up of personnel from all of your key departments: marketing, social, sales, human resources and research. Only then will you be able to meet the rising standards of today’s consumer. Check the visual below for more insights, which comes courtesy of Engagor.